I love, love peanut butter! 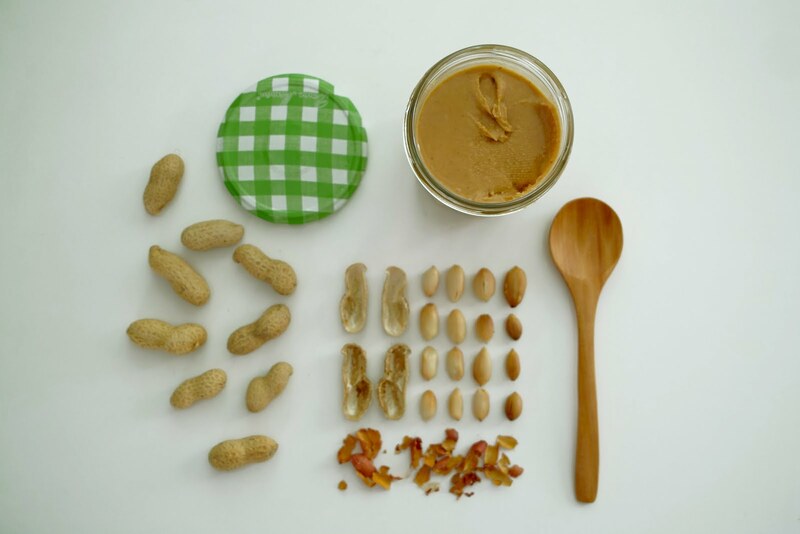 place the shelled plain roasted peanuts in a heavy duty blender (I use one like this, for small batches it is perfect and easy to clean) and a pinch of sea salt. blend until smooth to your taste. if necessary add a little bit of peanut oil and blend again. for a crunchy version just mix some more peanuts that have been broken into pieces previously. refrigerate and enjoy! Descubro mais uma coisa em comum entre nós, manteiga da amendoim... é um dos elementos base da minha alimentação, sem exageros :-) Também tenho um post no blog em que refiro esta delícia, "Do bom e do bonito"! não sabia que era tão fácil! I am a crazy peanut lover, but I can't for the life of me like peanut butter and it truly depresses me! I have to admit, it never even occurred to me to try and make it myself, so that's what I'm gonna do some time soon and maybe I'll like a homemade version. Thank you very much for sharing! Homemade is SO much better. We're all peanut butter crazy here...even Turbo!